What Is a Pediatric Dentist? A guide for parents from 123Dentist. Nothing’s more important to you than your children. You want them to look and feel their best from now until they’re 120-years-old. Part of your responsibility in this endeavour is taking care of your child’s teeth. You know that baby teeth don’t last forever, but you can still do long-term damage to your kid’s mouth if you’re not careful. Fortunately, dentistry has a special field for kids. These professionals can provide the dental care and hygiene your kids need. 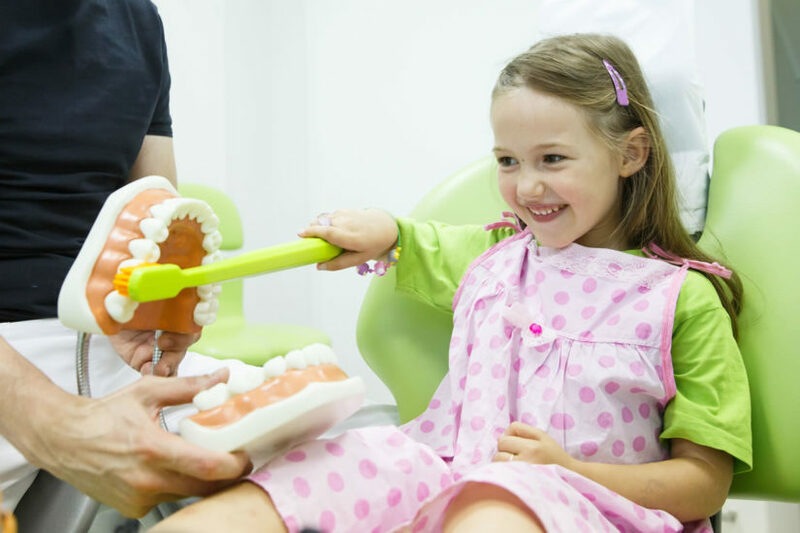 Here’s a guide on pediatric dentists. This type of dentist is just like any other dentist, only they specialize in treating children, which qualifies them to identify themselves as a Certified Specialist in Pediatric Dentistry. That’s important because an adult acts differently at the dentist than a child. Grown-ups don’t need reassurance about dental care. Kids hate the dentist more than they hate homework. Parents know this, and it explains why 60 percent of parents believe children should receive dental care, but only 25 percent take infants to the dentist. One of the goals of a pediatric dentist (also correctly spelled as Paediatric Dentist) is to make a visit more enjoyable for kids. This specialist will treat the same child throughout adolescence, from baby teeth through braces. Without proper dental care, the permanent teeth will suffer decay. Since the teeth are still growing, they’re more vulnerable to dental caries. Remedies exist to treat the condition, but it’s a painful disease that can cause your child to suffer for many years to come. A pediatric dentist takes the earliest x-rays of your child’s mouth. Then, they perform an oral exam to stop any potential issues that could become problematic over time. What’s amazing about these professionals is that they provide tremendous dental care while calming your child, eliminating the negative stigma of a trip to the dentist. A pediatric pro develops a secondary skill beyond dentistry. They have to handle the social dynamic of interactions with children, too. The ones who are best at this job are often the ones in demand. You may have a harder time getting an appointment with the best pediatric dentists, but in the end, it’s worth the effort. It’s important to note that many dentists provide pediatric dentistry, even if they’re not certified as a specialist. This isn’t anything to be concerned about, since it simply means they have experience dealing with kids as patients and are familiar with the issues of pediatric care. So, your general dentist can provide pediatric dentistry quite capably, but to be a true specialist in the field requires certification. The trickiest parts of pediatric dentistry involve infants. Babies cry at the first sign of aggravation. They’re also unresponsive to requests to open their mouths. Pediatric dentists must do oral exams on infants and identify potential signs of caries. In extreme instances, they have to do surgery on infants. That’s a difficult procedure that requires a great deal of skill. Pediatric dentists also handle basic dental care for children from infancy until they’re almost adults. These dentists are experts in teaching parents about how to help kids break bad habits like thumb-sucking and pacifier dependency. Basic tasks include teeth cleanings and fluoride treatments. They also make suggestions about diet and nutrition, pointing out foods that are likeliest to strip the enamel off of teeth. That’s a dangerous practice that impairs the long-term development of permanent teeth. In addition to these job tasks, pediatric dentists do regular dental work, too. They diagnose potential problems like overbites and uneven teeth. These conditions rarely get better without treatment. That’s why the dentist must add braces or the like to straighten the teeth. Pediatric dentists also fix cavities, remove wisdom teeth, and manage gum diseases. They even help diagnose medical conditions related to oral health problems such as diabetes, asthma, and hyperactivity. That’s why you respect a pediatric dentist’s advice as much as a regular pediatrician’s. How Much Training Does a Pediatric Dentist Need? A pediatric dentist receives the same basic training as any other dentist. The individual must complete four years of dental school, earning satisfactory grades along the way. After that’s done, the dentist receives two years of additional training to work with children. This education takes the form of residency training in a dental office that deals exclusively with children. While there, the pediatric dentist learns how to apply their schooling to real-world situations. The professional also learns the best ways to interact with children, especially infants and kids with special needs. After these six years, the person is ready to work professionally as a pediatric dentist. How Does a Pediatric Dental Appointment Work? You schedule an appointment the same way you would for any other health care checkup. When you arrive, you check in at the front desk, telling the employee your child’s age. The office needs to know this, as younger children often take more time to treat. You can and should join a child under 10 in the dentist’s exam room. Answer any questions that the pediatric dentist has, always replying honestly. At the same time, make sure that your child feels settled and comfortable during the appointment. After a few uneventful trips to the dentist’s office, your kid won’t feel stress about the process. As you can see, a pediatric dentist is a skilled, reliable caregiver. You should feel confident that this professional will take proper care of your child’s dental needs. Find a 123Dentist member dental office offering Pediatric Dentistry.